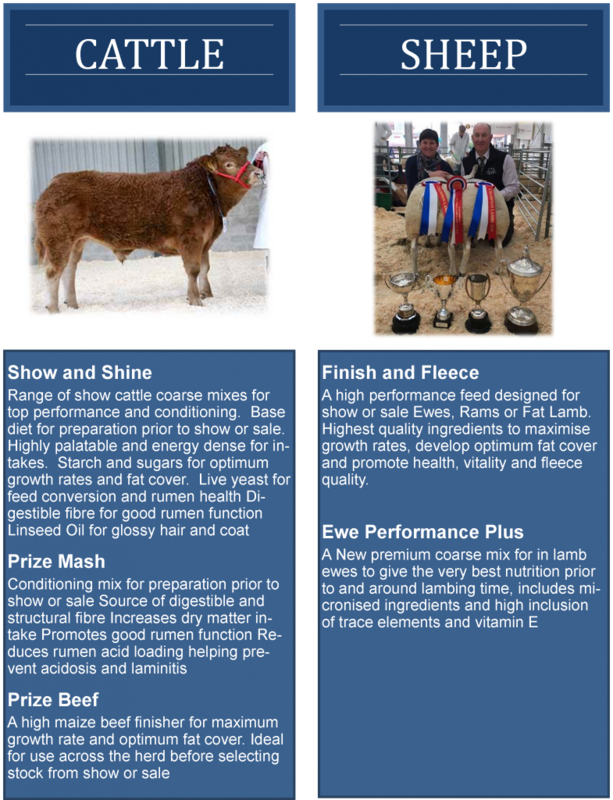 Our range of conditioning feeds for show or sale livestock have proved very successful over the last few years. Our customers hard work and dedication to their stock combined with the optimum nutrition from our specialist feeds has earned us a growing reputation for getting top quality livestock to their optimum show condition. We are always looking to improve and from this month the show and shine range for cattle and finish and fleece for sheep will have 1.5% omega 3 oil as a standard inclusion.